As Donald Trump’s trade war escalates, opportunities arrive for savvy traders. Today, Platinum’s CEO is offering a unique and lucrative opportunity. Trump was elected, in part on a promise to put America’s interests first and crack down on what he characterises as a world trade system rigged against the US. But until recently the president has acted like many of his predecessors – talking tough on the campaign trail but backtracking in the White House. All that has changed. Week after week, Trump’s trade talk has seemed to harden. Consider the developments from just the past few days: The White House forged ahead with tariffs on $50 billion of goods from China. Talks to renegotiate NAFTA stalled and Trump imposed tariffs on close allies Canada, Mexico, and the European Union. This toughened stance could be because the midterm elections were coming up, we’ll just have to see how Trump continues to act following the election results. 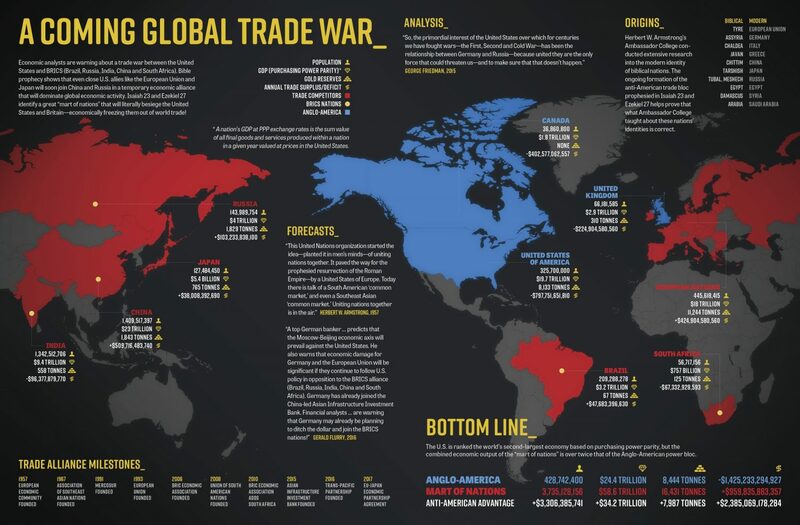 HOW DID THE TRADE WAR COME INTO THE FOREFRONT? In 2016 one of Donald Trump’s main themes to his campaigns was why American jobs were being lost due to unfair global trade. Trump has mentioned on several occasions about imposing tariffs on Chinese goods and to pull the US out of several trade deals. Compared to the other US Presidents Trump definitely kept his campaign pledges, from pulling out of TPP i.e. the Tran-Pacific Partnership to the investigation into China’s alleged theft of American Intellectual property rights, and last but not least, imposing tariffs on steel and aluminium. It’s obvious there would be a retaliation, right? The US are the first to make a move in the trade wars, the US dollar has seen recent weakness due to the tariffs it has applied to steel and aluminium imports from the EU, Canada, and Mexico. The US dollar before the sanctions applied was doing very well due to the political fears in Italy and Euro inflation figures, both of which causing the Euro to plummet to levels below 1.1700. We had the most recent NFP results for the US and the figures were excellent with the figure being 223k compared to the 189k expected. This just helps the US dollar regain its strength, the turning points in this trade war will be when opposing nations start sanction on US imports to their nations such as China has done already. This helped to keep the trade war on hold between the US and China as the US feared they would decrease trade balance it continued. From the daily chart, we can see the head and shoulders pattern that previously formed. This pattern has formed due to the recent volatility on the pair due to trade wars and US dollar reaction to sanctions being imposed on the EU, Canada, and Mexico. We are now looking for a continued move from the neckline support. The bottom for our Forex Forecast should be the 1.1850 level, it is showing major demand with great probability of moving higher from there. 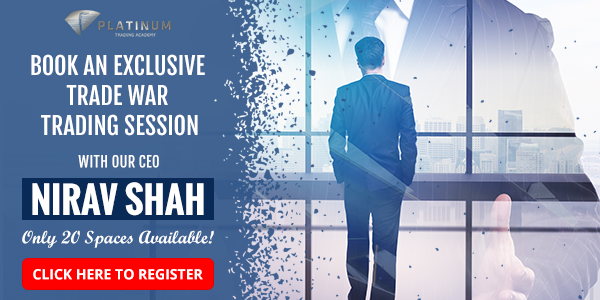 For our exclusive EUR/USD Forex Forecast, as well as our market analysis of the Australian Dollar during the trade wars, join us for a 1-to-1 mentoring session with one of our expert foreign exchange analysts who will show you first hand how we perform our forex technical analysis and plot our price forecasts. All premium Platinum traders receive our weekly Forex Forecast as soon as it’s prepared, last week we made some predictions on the gold price that came to pass soon after, so you don’t want to miss out on the next Forex Forecast ! If you’re deciding to trade in the current forex market climate, always remember when placing your own trades, to carefully consider your investment, and keep your investment objectives, level of experience, and risk appetite in mind. Forex is suitable for all investors so long as you have the correct mindset and financial discipline. Be aware that data on some sites is not necessarily real-time or accurate.